Why is it that your heating always seems to break down at the most inconvenient time possible? If you're stuck with a faulty heating system and worried about how you're going to deal with the imminent problem, there are several issues that you need to take into account before you start to panic. This is the first important point. If you are the homeowner, you're responsible for the upkeep of your heating system, but if you are renting a property it's down to the landlord or letting agency to arrange for any repairs to be done. Most letting agencies provide an emergency out of hours and weekends number to call just for this type of problem, although if the problem happens during working hours it's easier to deal with. If you can't get a response from the letting agent or the landlord and you really need the repairs carried out urgently, as long as you've made every effort to go through the right channels you should still be able to arrange for the repairs to be carried out yourself, but you'll have to claim the costs back from the landlord or agent after the event. Hopefully they will have already given you details of the emergency contractor they use so it's unlikely that this will happen. If you have central heating insurance, all you need to do is call the dedicated number and you should be able to arrange the repairs as soon as possible. There are different levels of cover on this type of insurance policy, so read the small print and make sure that you're not caught out by extra costs. Some policies for older heating systems will only cover the cost of labour because the parts are harder to get hold of, for example. Word of mouth is the best way to find someone to fix your heating system. If that's not available, the next best thing is Internet word of mouth. There are several sites that are free to use if you're looking for someone to carry out a job for you. The sites offer people the chance to compare ratings on different local contractors and are totally impartial, so you can find someone who has carried out similar jobs locally and done them well. Type 'find a contractor' into a search engine. Alternatively, try the gas contractors' trade associations for lists of people who are registered with them - CORGI still has a list of approved contractors for Northern Ireland, and in the rest of the UK you need to check the Gas Safe Register. For homes with electric central heating, websites are still a good bet to find an appropriately qualified contractor. The Electrical Contractors' Association or the National Inspection Council for Electrical Installation Contracting are the main trade associations for electrical contractors, and will also be able to help you find someone locally. They can't guarantee that the work will be done perfectly of course, but if a contractor is one of their members they will have signed up to a code of practice. They often provide mediation services if there's a dispute too. If you have a gas emergency, don't wait, get straight onto the National Gas Emergency Service on 0800 111 999. The line is open 24 hours a day. You need to have all the details of the problem to hand when you call and they will send an engineer out within an hour. 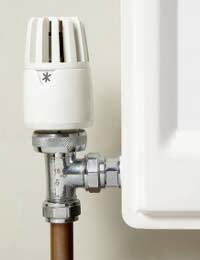 All the engineer will do is make the leak safe - so you will still have to call a Gas Safe registered engineer to reconnect any appliances.